Azura Bay || Making Eco-Friendly Lingerie Accessible — Simply Liv & Co. If you’re a veteran reader of this little space, you’re no stranger to Azura Bay. I’ve shared about this wonderful brand countless times, and they’re lodged for good on my Lingerie List and on my main List of ethical retailers. But, aside from the fact that they offer ethically made lingerie, you may not know much about the Canadian undergarment powerhouse. Today’s post, I hope, will change that. Azura Bay puts a unique spin on the tried and true concept of “sustainable marketplaces” (or, one stop shops carrying ethical goods). Everyone needs undergarments so Azura Bay truly fills a gap in everyone’s closet with their undergarments, swimwear, and most recently, a collection of basic tees. I’m excited to be able to share about Azura Bay using Ashley’s (the brand’s curator and founder) own words to give you all a peek into the mission and future of one of my favorite (and in my opinion, most necessary) brands ever. Azura Bay empowers women on all ends of the supply chain, carries an inclusive range of sizing, and works to be truly as sustainable as possible. It's been pretty incredible to see the amount of growth in the ethical + eco clothing space the past few years since I launched and that's been reflected in the increased options for ethical + eco lingerie as well! I aim to bring women the very best selection in one easy-to-shop collection; so I'm very picky about what I stock in the store. The number one criteria a brand has to meet for me to carry them in the store is that they have ethical production; whether it's certified fair trade or locally produced and upholding local labour laws (I'll ask for as much transparency as possible on this including finding out what wages they are paying, their HR practices and if I can, visiting their facilities - I just visited Mayana Geneviere in Toronto and met her team, which was amazing!). It's so important to me to empower all the women in the supply chain as well as the women wearing the pieces I sell. Next, I try to stock as many styles in eco-fabrics as possible, but in order to get the fit and style many women are looking for (like smooth cups or lightly padded t-shirt bras), I'll stock something that's meeting those needs as long as it's ethically made. Fit and style are extremely important to me, as I believe classic, comfortable items that you love and wear often are the best starting point for a sustainable wardrobe! How does Azura Bay give back? I wanted to give back to my community both here in Canada and globally beyond the ethical and eco initiatives with my products and packaging; so instead of 1% for the planet, I allow you to choose one of three organizations at checkout that I donate 1% of sales back to; World Wildlife Foundation, Nature Conservancy of Canada (did you know I live in the same province that many of Canada's polar bears call home!? I've seen firsthand the effects of climate change and this organization does a ton of amazing work to protect important habitats), and Because I am a Girl. This way you can contribute to the cause closest to your heart. I currently use a combination of 100% recycled boxes and 100% recycled/recyclable polymailers from EcoEnclose, plus 100% recycled tissue paper and recycled paper postcards. The zero waste movement has been doing so well at inspiring packaging companies to be more creative; and soon I'll be able to replace my stickers, shipping labels, and tape with recycled/recyclable versions as well! I'm striving to reduce waste as much as I can along every step of the shipping process, and will be introducing compostable mailers later this year (I have a back stock of my original packaging, so it might as well be used first!). Additionally, I've been able to get several of my suppliers to reduce plastic usage by combining all pieces into 1 protective plastic bag instead of individually wrapped or even just wrapping them in tissue instead. What’s next for Azura Bay? I'm so excited that so far this year I was able to launch a few pieces that have more inclusive sizing (my bralettes now run from 30A - 40H in certain styles plus more sizing in the nursing bralettes, including special sizing for smaller bands with larger cups like 32H! ), and I'm working on expanding that this year with more styles and more colours. 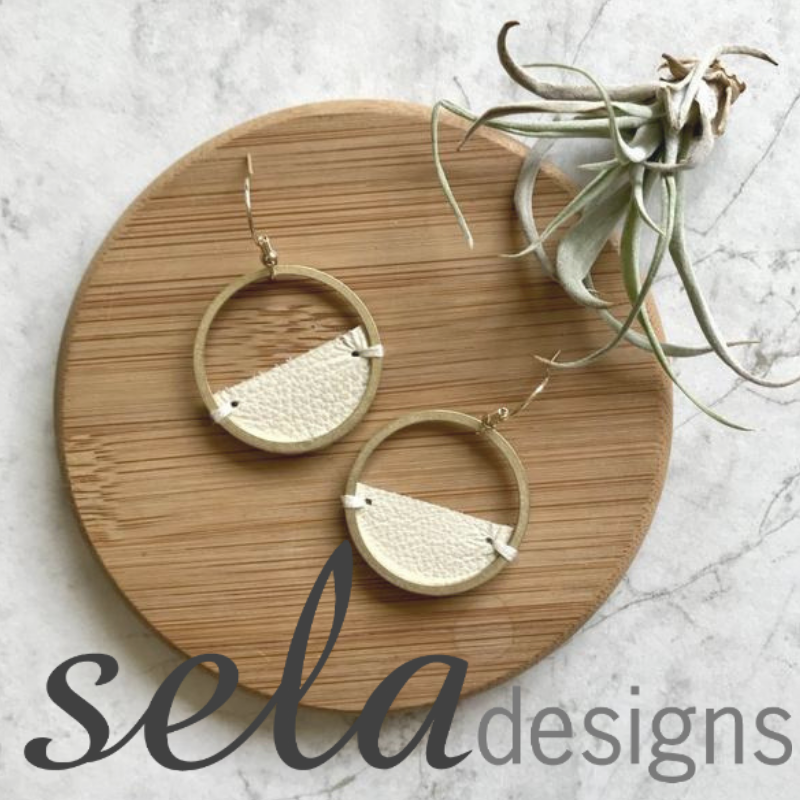 I hope to one day launch my own line so that I can better respond to the needs of my customers, but for now I'm focusing on bringing more options in the styles that my customers love. I'm so excited to have more basic styles in organic fabrics and new colours later this year. Additionally, I'm temporarily shifting my focus away from swim in order to provide better selection for bras, underwear, active/loungewear so I may do a mini-capsule collection in the future but for now my entire collection is on sale! Finally, I'm working on showing more behind the scenes content including meeting the makers and touring their facilities in my emails and Instagram feed, and helping my home city of Winnipeg launch it's first proper Fashion Revolution week! Azura Bay carries a beautiful selection of some of my favorite brands — some I’ve purchased on my own, others I’ve heard about through Ashley. Brands like Naja, Organic Basics, WAMA Underwear, and White Rabbit NYC are all brands I’ve tried and love and, of course, ones that Azura Bay carries along with many others. You can use the code LIV15 for 15% off any order from Azura Bay and be sure to shop the incredible swimwear sale while you can!